It’s not too often you get the seventh installment of a movie franchise that feels fresh, exciting and renews your faith in that series as a whole. Well, if you don’t count The Force Awakens, anyway. Creed is that rare beast that pays homage to the films that came before it but doesn’t wallow in nostalgia, instead making room for new characters, stories and themes to work their way into the hearts of viewers. Even though one of those themes is that of legacy, we’re most definitely in the present with Adonis Johnson’s (Michael B. Jordan) story. The illegitimate son of Rocky’s rival-turned-friend Apollo Creed, Adonis decides to shrug off a white-collar existence in pursuit of a boxing career; one earned without his father’s long shadow cast over him. He travels to Philadelphia and enlists the reluctant help of former champ/now restaurateur Rocky Balboa (Sylvester Stallone) to help him become a truly great fighter through the age-old art of training montages. Along the way he sparks a romance with musician neighbour Bianca (the marvellous Tessa Thompson) and, through a quirk of boxing hierarchy, qualifying for a fight with a Liverpudlian world champion (Tony Bellew, a real-life fighter in a charisma-lacking performance that we thankfully don’t see all that much of). “So,” you might be thinking, “it’s just Rocky all over again?” Well, yes and no. The same major story beats are there, but their presentation and execution feel new and, astonishingly, occasionally vibrant. This is largely thanks to Jordan’s contagiously energetic performance in contrast with Stallone’s stoic but soulful recapturing of the humble bum that first connected with audiences forty years ago. Coogler’s direction and screenplay are similarly contemporary, Adonis’ story of a young black man rising through the ranks offering a more relatable story of struggle. Johnson’s sweet, idiosyncratic romance with Bianca and his life outside of the ring are just rich enough with detail for Creed to feel more than the sum of its parts, even if the slightness of Adonis’ motivation (fighting’s in his blood, dammit!) occasionally rings false. The screenplay isn’t afraid to mine Rocky‘s history, and it’s some of the smaller moments – Balboa visiting Adrian’s grave and reading her the news; Adonis moving into Paulie’s old room in Philly – that pack the most punch without lingering long enough to become gooey sentimentalism. Make no mistake: Creed doesn’t break the mold. It’s working from a formula, but brings enough contemporary flair, good will and technical prowess to proceedings that it really doesn’t matter. The film is a metaphor for itself; an unlikely contender that goes the distance and succeeds where very few thought it would, and now those few can’t wait for the next bout. 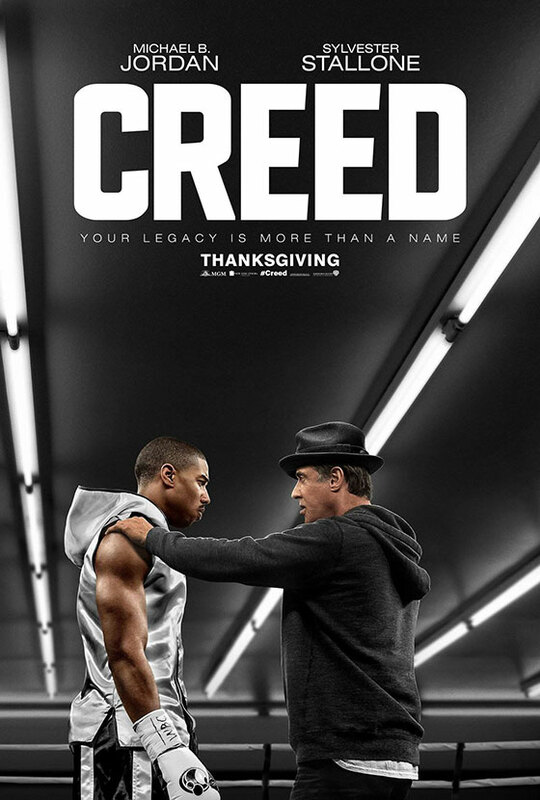 Creed is out at UK cinemas now.